We are Japanese style guest house,cheap hostel. 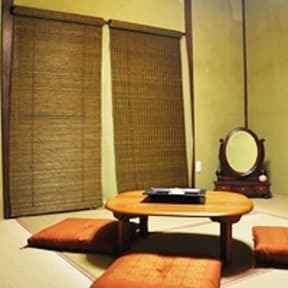 Nagasaki Kagamiya provides you with our rooms reasonably from 2800 yen per night. We hope that you will relax as youre in your relatives house and enjoy meeting other guests. A Gourmet map of Nagasaki is prepared to make you enjoy Nagasaki special food very near to us. Tax and service charges are included in room rates. Amenities:　A air-conditioner in all rooms. No TV, no refrigerator in all rooms. No smoking in building. A smoking area in garden. Public space- 1st floor: Free Internet line. Shared shower rooms and bathrooms. Enjoy your time as you get information about Nagasaki, you read kimono magazines, and you talk to other guests who might be your lifelong friends. Please bring: your towels, amenity kit, and nightclothes. Around us: A family restaurant, a convenience store.